Modern Beit Shemesh is a city with a population close to 100,000, located in between the metropolitan areas of Tel Aviv and Jerusalem and in between the Ayalon Valley and the Elah Valley. 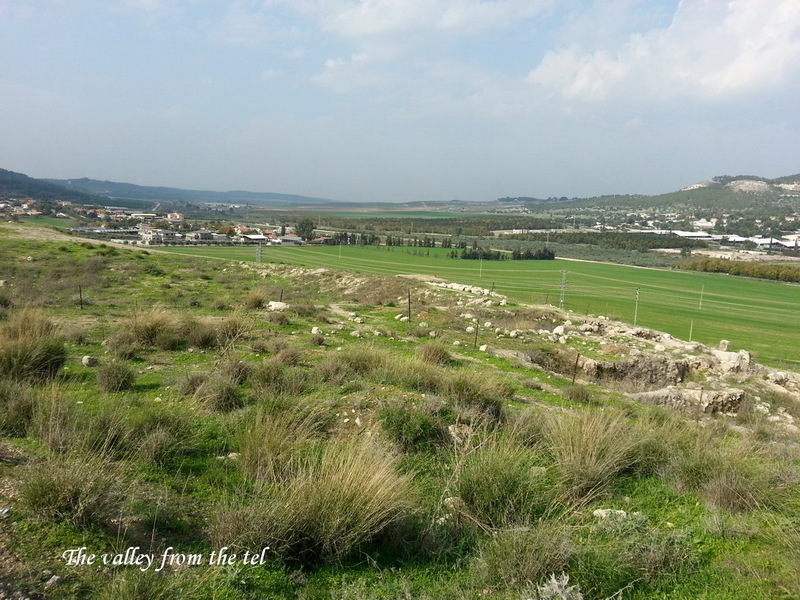 Our tour here is not about the modern city – we are arriving here to see the ancient one – Tel Beit Shemesh, and the valley next to it. This ancient city originated in the time of the early Canaanites, the 3rd millennium BCE, and was considered as the site of an important goddess – Shemesh (or Shapash) – the goddess of the sun and sunlight. Later, it became a city belonging to the Tribe of Judah, located right on the border between the land of Judah and the Philistine land, a fact that caused conflicts between the two societies. 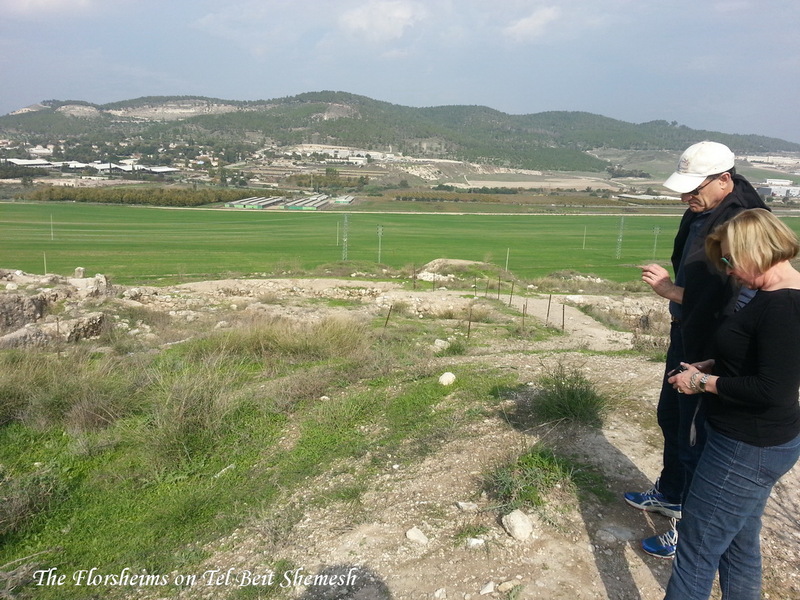 After the Philistines were suppressed, the city flourished, as archeological digs show. Beit Shemesh was destroyed by the Babylonians in 586 BCE, and never regained its earlier status. The story of the battle between the Philistines and the Israelites, in which the Israelites were defeated, and the Ark of the Covenant was captured by the Philistines (1 Samuel 5-6). The description of its return comes to life as you look into the valley and read the story from the Bible. The unique story of the Hercules-type Israelite named Samson, pronounced Shimshon in Hebrew (in English -”of the sun”), and his endless fights with the Philistines (Judges 13-16). Since Samson was born and lived in this area, this is the place to tell the stories about him and interpret them.